Pte William J. Mackintosh H.L.I. 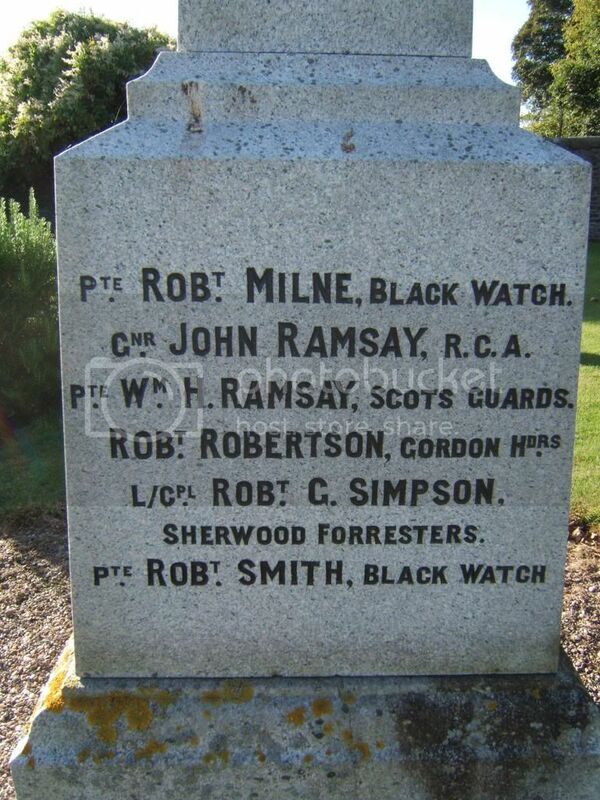 Pte Robert Robertson Gordon Hdrs. Unit Text: "A" Coy. 1st Bn. 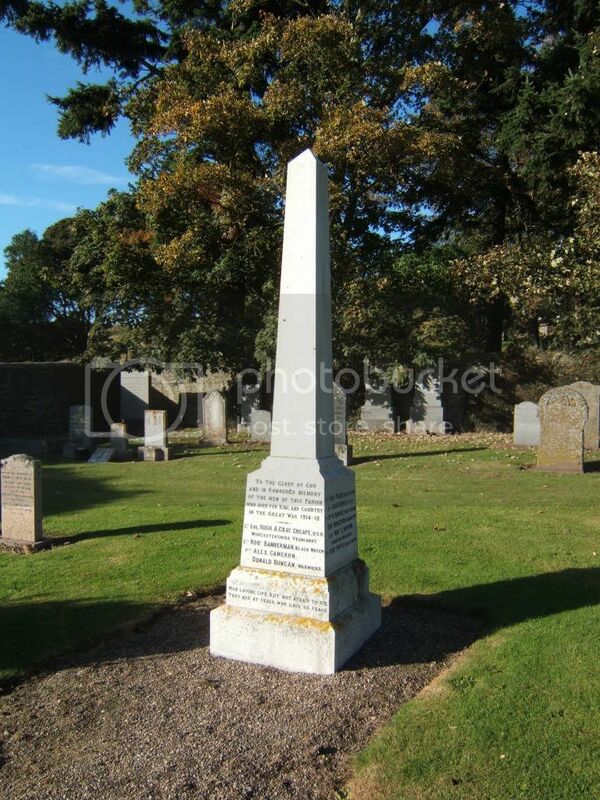 Additional information: Son of Jemima Bannerman, of 21, Fergus Square, Arbroath, and the late John Bannerman. Unit Text: "B" Coy. 6th Bn. Additional information: Son of Andrew and Barbara Cameron, of Milldens, Guthrie, Forfarshire. Grave/Memorial Reference: II. F. 18. Additional information: Son of Mrs. Mary Duncan of Toll Cottage, Brechin Rd., Forfar. Grave/Memorial Reference: I. D. 17. Other: 2/7th Bn., formerly 645, High. Cyc. Bn. Additional information: Son of William and Janet Jack, of Cotton, Guthrie, Forfarshire. Grave/Memorial Reference: IV. G. 2. 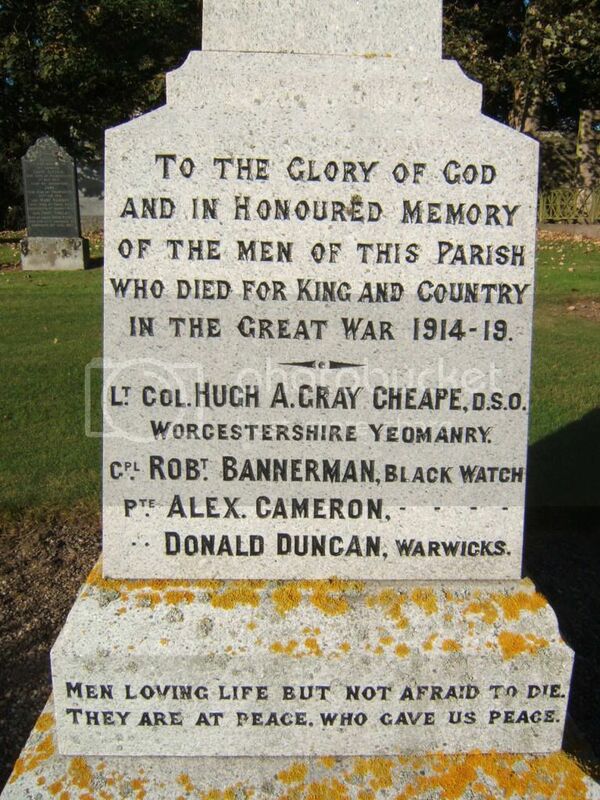 Grave/Memorial Reference: I. E. 2. 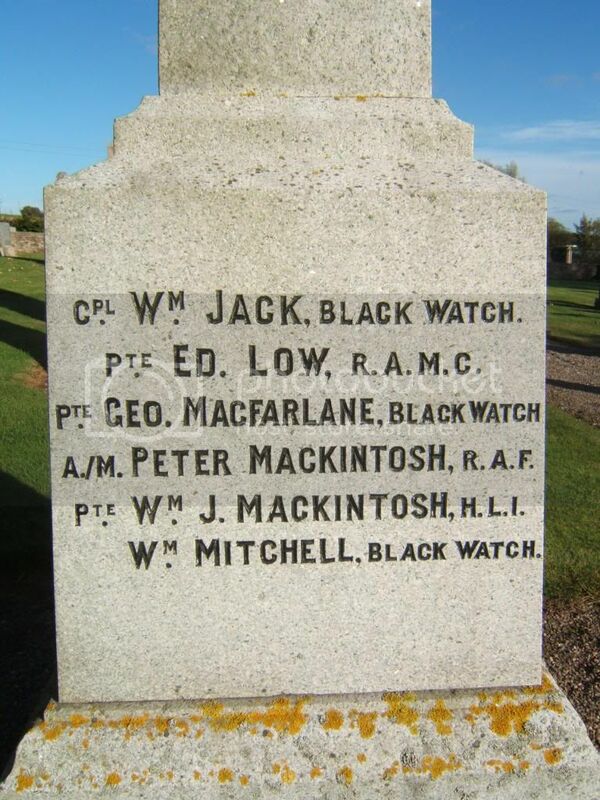 George Mac/McFarlane Black Watch is one of two possibilities, but I cannot say for certain with the current information. Additional information: Son of John Ramsay and Mary Kidd. 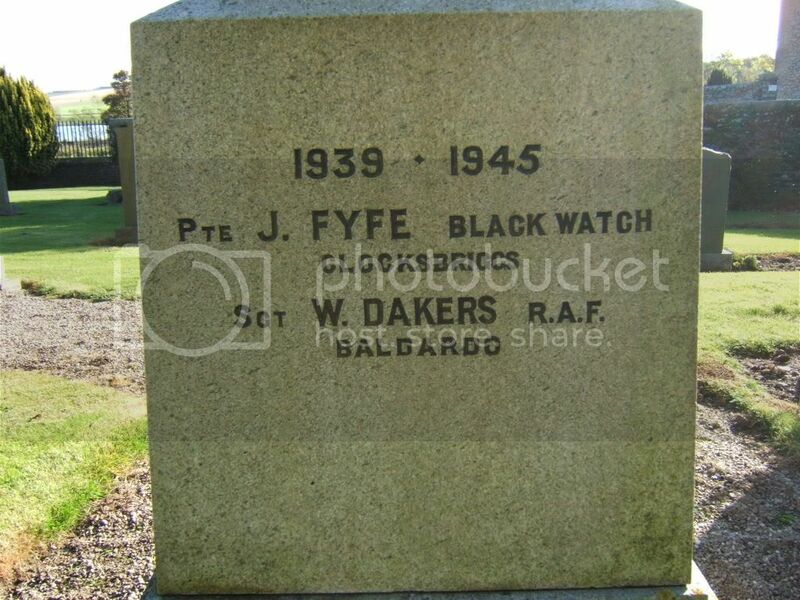 Additional information: Son of John and Mary Cable Kydd Ramsay, of Carsebarracks, Forfar. Grave/Memorial Reference: IV. E. 52. Theatre of death: F. & F.